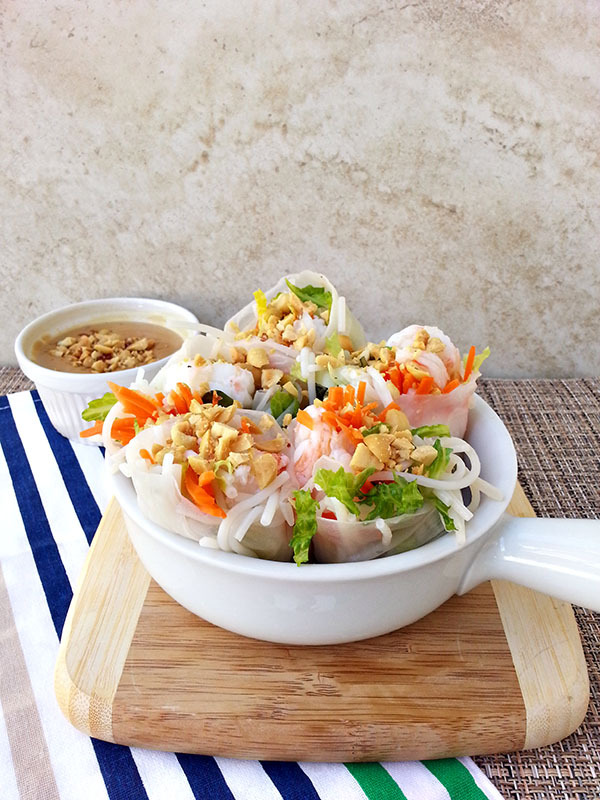 I think of spring rolls as the side salad of Asian food. 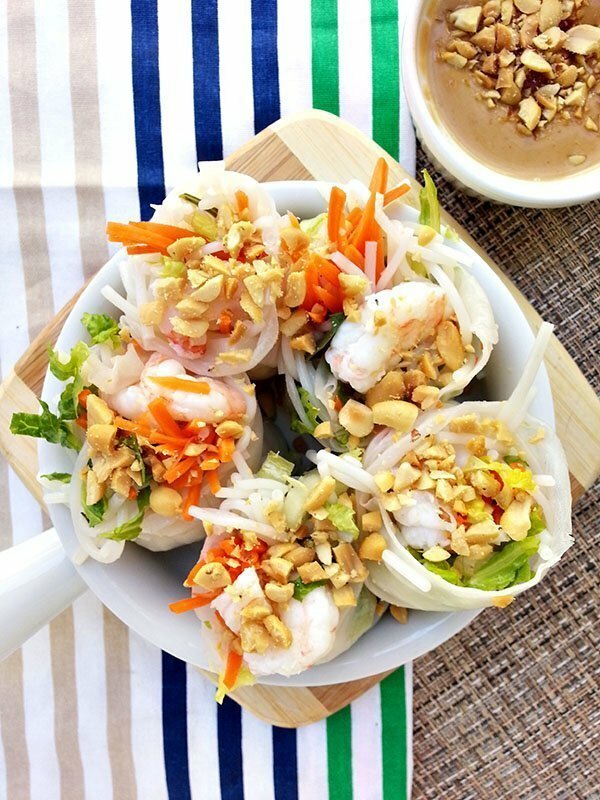 Imagine greens, shrimp or grilled pork, herbs and carrots wrapped up in rice paper and you have one healthy and delicious appetizer or side dish. 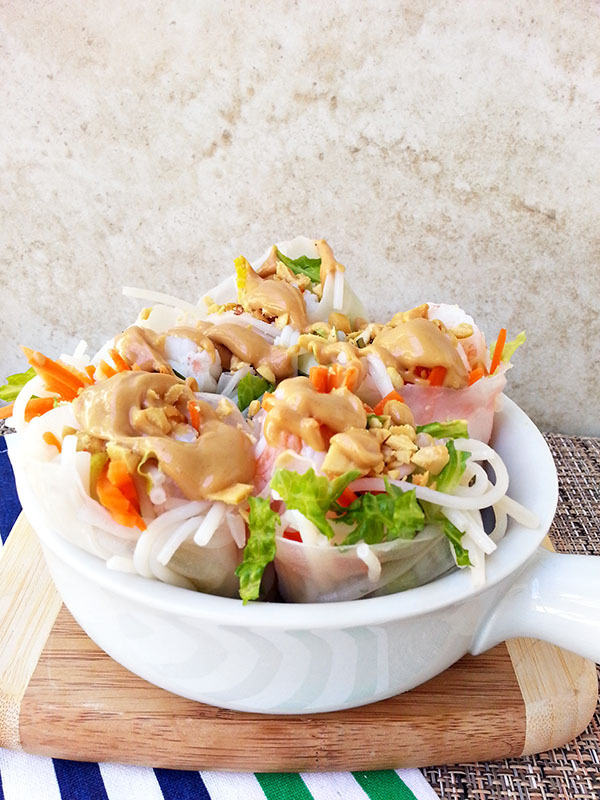 Now dip that roll in a creamy peanut sauce and you have one amazing roll. Can I have another, please? Mix together peanut butter with hot water - sugar, whisking together until combined. Top with chopped peanuts. Set aside. Put shrimp with water - bay leaf in a medium saucepot. Heat over medium heat and bring to a low simmer. Cook until shrimp are pink and firm. Remove shrimp from poaching liquid and let cool. Discard liquid. Make pickling liquid for carrots. Heat water, vinegar, sugar and salt in a small saucepot over medium heat, stirring until sugar has dissolved. Pour over carrots in a medium bowl and let sit for 30 minutes. Cook vermicelli noodles according to directions on package. Drain and rinse in cold water. Drain and set aside. Pour hot water in a large bowl. Place one rice paper in the water and let sit until softened, about 30 seconds. Carefully remove the paper and lay on a working counter. Place 3 shrimp in the center followed by the noodles, lettuce, pickled carrots, and basil. Fold up the bottom third to cover the filling. Fold the sides toward the center. Carefully roll up the spring roll, making sure the roll is tight. 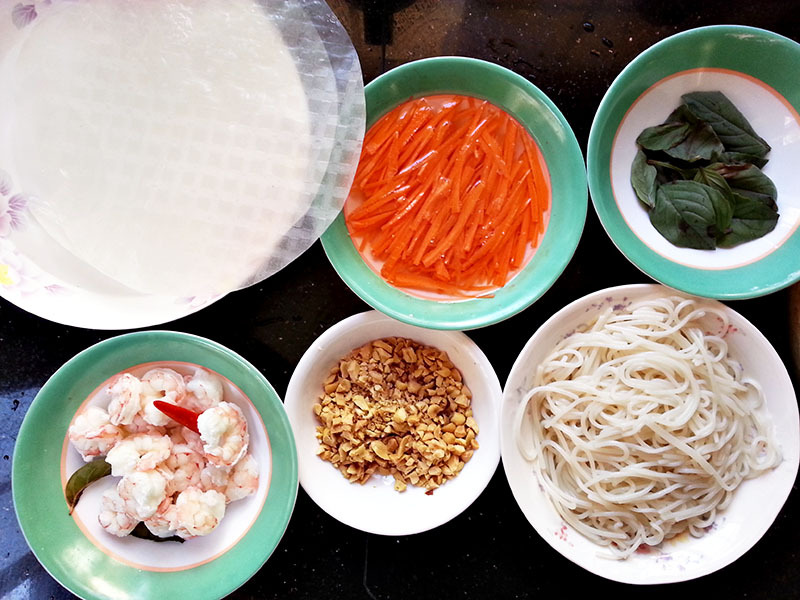 Place spring roll on a plate, seam side down. Repeat with remaining rolls. Serve with peanut sauce. Preparing the spring roll is not difficult, but rolling them can be tricky. I, myself, am no expert, but as long as the ingredients stay inside the roll, you’re good to go! Be careful when handling the rice paper as they are delicate and can break easily. Have all your ingredients ready to go before rolling, making it easier to crank them out all at once. I made my first roll with crumbled peanuts inside but discovered that the nuts would pierce the paper. 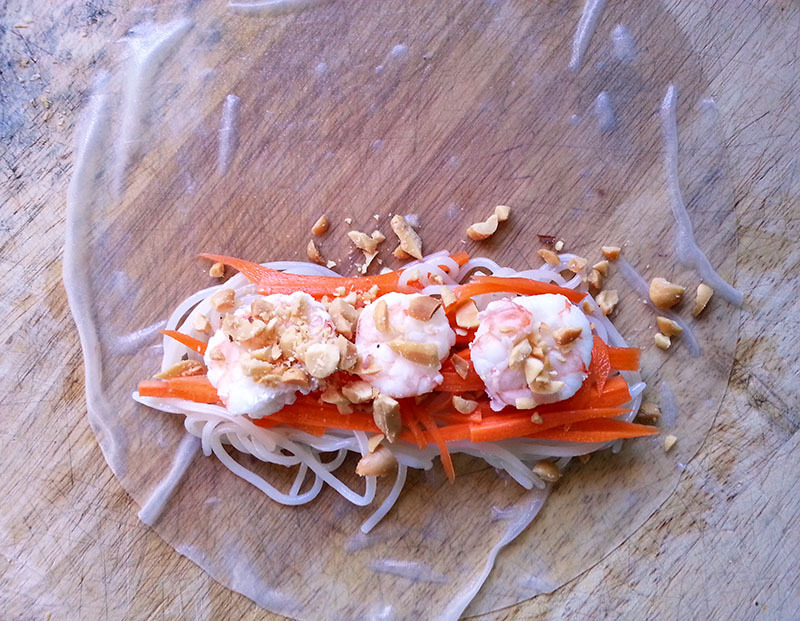 If you want to garnish your spring rolls with peanuts, I suggest slicing them in half and topping them with the nuts. Spring rolls are best served the same day since the wrapper does slightly harden when chilled. 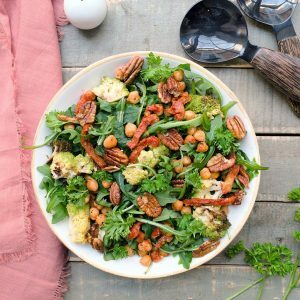 Healthy, light but very filling, everything I’m looking for in an appetizer! 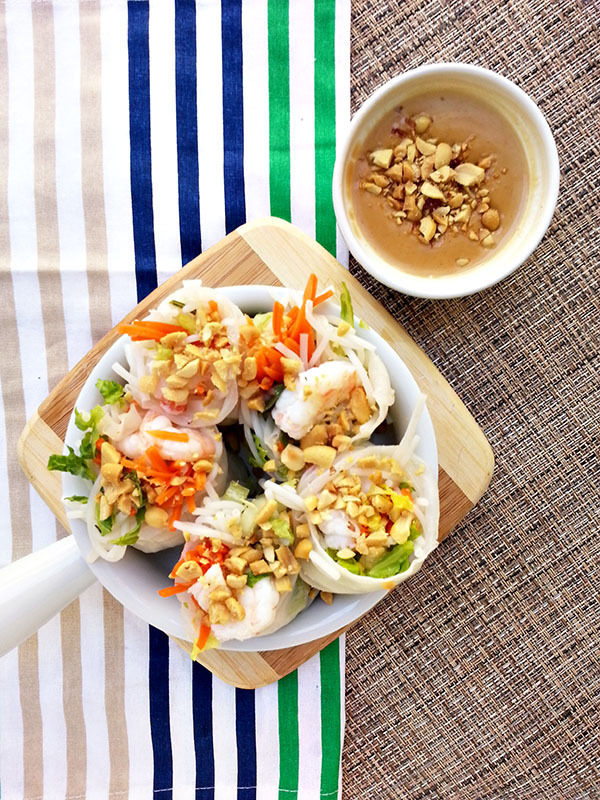 You can spice up the peanut sauce with chili oil if desired or serve these fabulous shrimp spring rolls with the traditional Vietnamese sauce, Nuoc Cham. Enjoy! These look great! 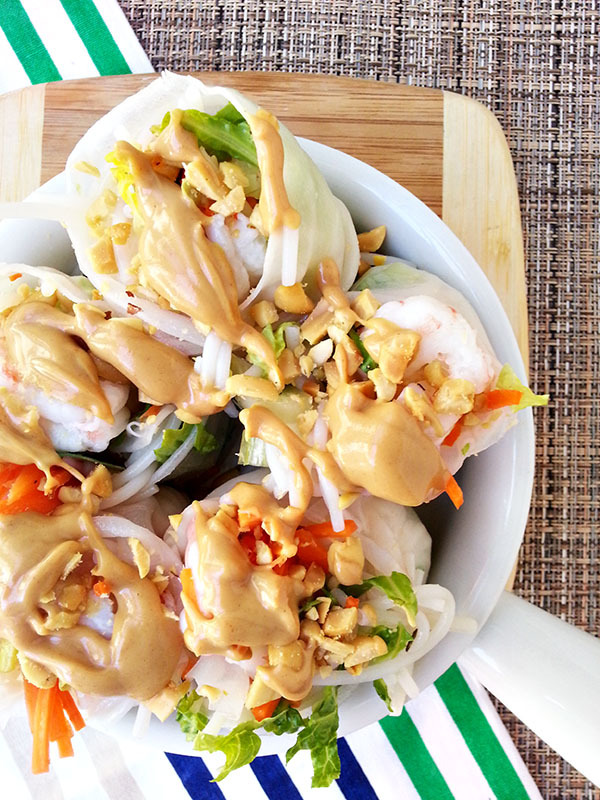 Spring rolls really are the perfect snack or appetizer, and they're so customizable! Definitely! 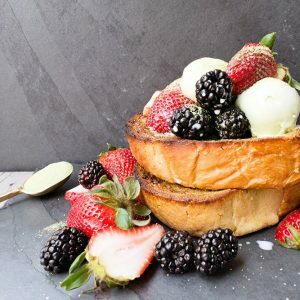 Very easy to substitute items according to your palate!